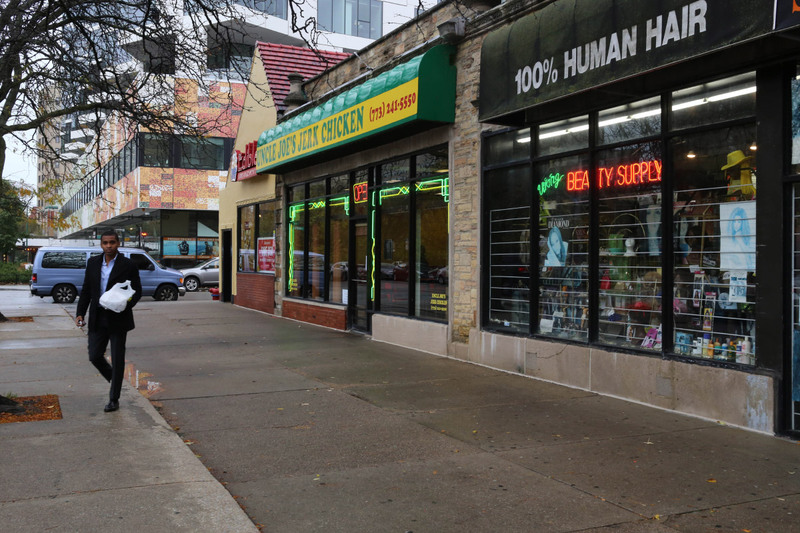 Chicago Mayor Rahm Emanuel’s Neighborhood Opportunity Fund is on track to provide over six million dollars from private developers to help grow businesses on the city’s South and West Sides during the program’s third round of funding. Unveiled in February 2016 as part of a new density bonus program, developers who seek approval for zoning bonuses are encouraged to pay into a fund that supports investment in designated underserved neighborhoods’ commercial corridor projects. In order to increase the size of downtown construction projects via a higher floor area ratio (FAR), which reflects the total square footage of a building divided by the area of the lot, developers must pay into the Neighborhood Opportunity Bonus. These projects also automatically receive Planned Development status, ensuring public review and cohesive planning. A recent permit application submitted by the Howard Hughes Corporation to begin foundation work at 110 North Wacker Drive will contribute $19.6 million to the fund, with the work under the permit valued at $40 million. Eighty percent of the Neighborhood Opportunity Bonus money is banked and made available to grantees to finance projects that support new or expanding business ventures in “qualified investment areas.” With U.S. Census data as a baseline, the Chicago Department of Planning and Development has designated commercial corridors in neighborhoods as far north as Belmont Cragin and as far south as the East Side. The one-time grants, which the business owner does not need to pay back, kick-start and support a variety of activities, including new retail, grocery stores, and cultural establishments, and help maintain existing ones. The other 20 percent is parceled out via the Local Impact Fund and the Adopt-A-Landmark Fund. The Local Impact Fund supports improvements within one mile of the development site, including public transit facilities, streetscapes, and open spaces. The Adopt-A-Landmark Fund supports the rehabilitation of designated Chicago Landmarks, or buildings contributing to a Landmark District. For business owners and entrepreneurs, the Neighborhood Opportunity Fund may be used by the grantee to acquire, rehabilitate, or demolish older and vintage buildings, or build new, with the cost of planning and design also eligible for funding. Other more administrative expenses are covered under the Neighborhood Opportunity Fund, including environmental remediation, financing fees, and the costs of business incubation, mentoring, and training. The program has funded diverse projects from barber shops to organizations that provide legal immigration services.